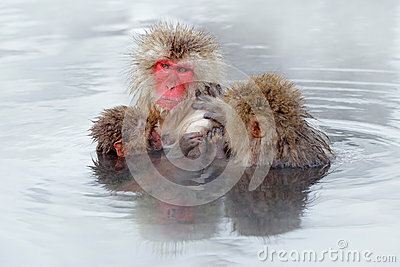 Monkey Japanese macaque, Macaca fuscata, family with baby in the water. Red face portrait in the cold water with fog. Two animal i water.